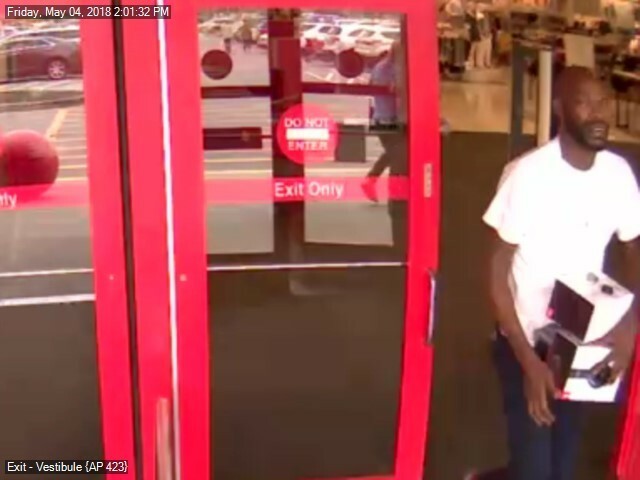 May 9, 2018: Franklin, Tenn. – Franklin Police want to identify a thief who made two trips into the Cool Springs Target on April 28. He returned a third time, and stole several additional items on May 4. Seen in these surveillance photos, the suspect wore different clothing each time. He stole electronics like Google Home devices and Beats headphones to the tune of about $2,000.